I am a beginner runner (at 57 years old female). I am starting out on a treadmill. I've only been at this for 5 weeks. I stay on the treadmill for an hour and every couple of days I increase the speed. A few days ago I had to stop after only 15 minutes due to the pain in my left ankle (left top side), I had not ever had a pain before. I rested 2 days and went back to it, after 5 minutes it was killing me, so I decided to switch running shoes. This seemed to do the trick, until today. I am into my third pair of running shoes and it's hurting again. I tried slowing down the pace and walking instead but it still hurts. Thanks for your running training question. An hour of running is a lot for beginning runners. Without knowing too much about your fitness, background with physical exercise and the speed to which you built up your running, it is hard for me to judge, but it sounds like a case of "too much, too soon". Cranking up the speed, although it gives you a feeling of accomplishment, is not necessarily the best strategy when you are starting out. I'd much rather would like to see you do run/walks in which you alternate easy running and walking. As you do those over time you can decrease the time spent walking and increase the time spent running, where all running is done at an easy pace, not faster. What has most likely happened to your ankle is a tear or ankle sprain due to overuse. This is not going to be solved by changing your running shoes. What you need to do is rest the ankle and apply ice for a few days. You can almost not do too much icing. A general guideline is 20 minutes every 2 hours. That's a lot, and not many people with busy schedules can do that, so see what you can fit in. After you have done that for a few days, I would recommend further rest for at least a week. Then do a little test run. Easy pace, just 10 minutes or so and see how you go from there. You may be lucky and get away with taking only one week off running. But some of these ankle injuries take way longer to heal because when you are on your feet all day the ankles get used a fair bit. Some people find themselves on the sidelines for two to six weeks. If pain persists, it is never a bad move to go to your physician to get everything checked out. When you are painfree, get back into running with a little less enthusiasm, i.e. less speed, more focus on easy runs that help build your muscles, tendons and ligaments in your lower legs without the additional stress that faster running brings to them. 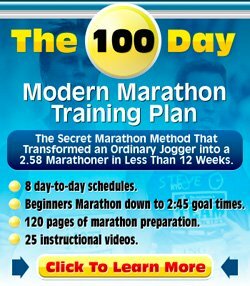 Although it sounds like you are a step or two beyond my Beginner Running Programs I would encourage you to have a look at those to see how they are structured and how they build up the time spent running over time.